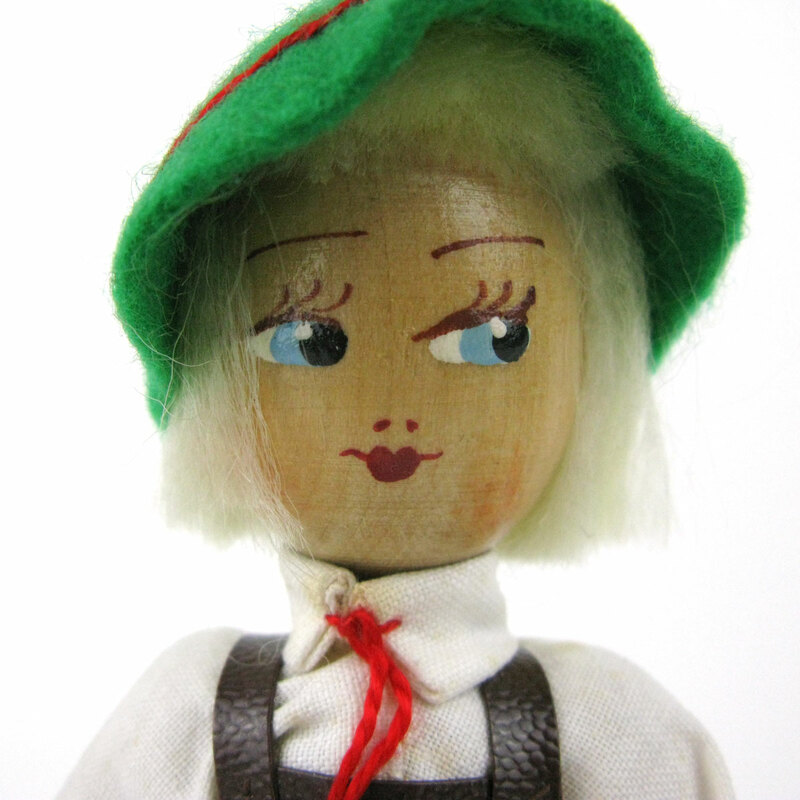 A vintage wooden doll in lederhosen. 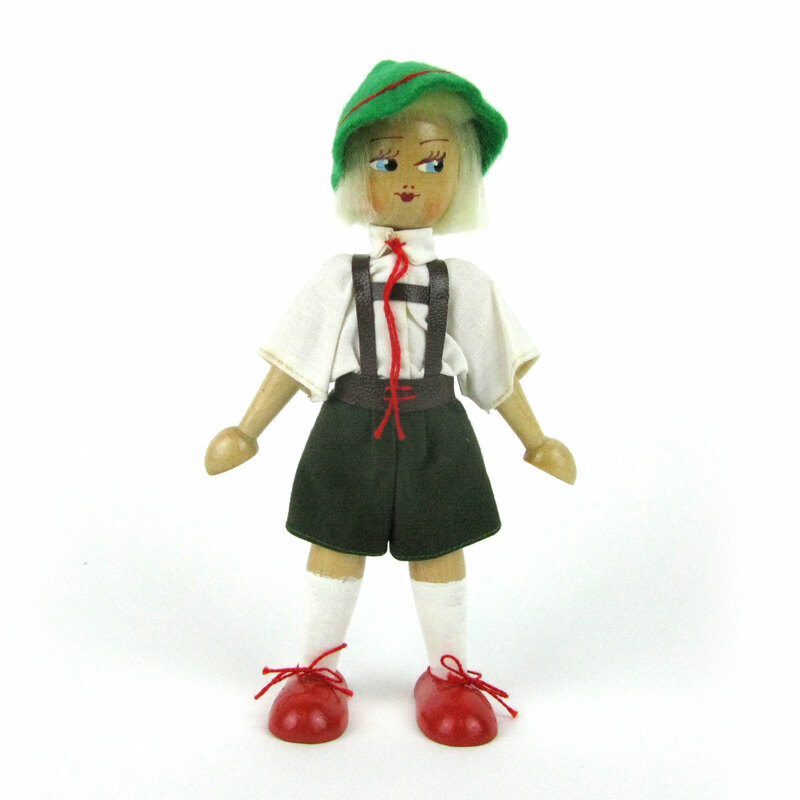 A vintage wooden doll in great condition with a green felt hat, white painted socks and brown lederhosen. 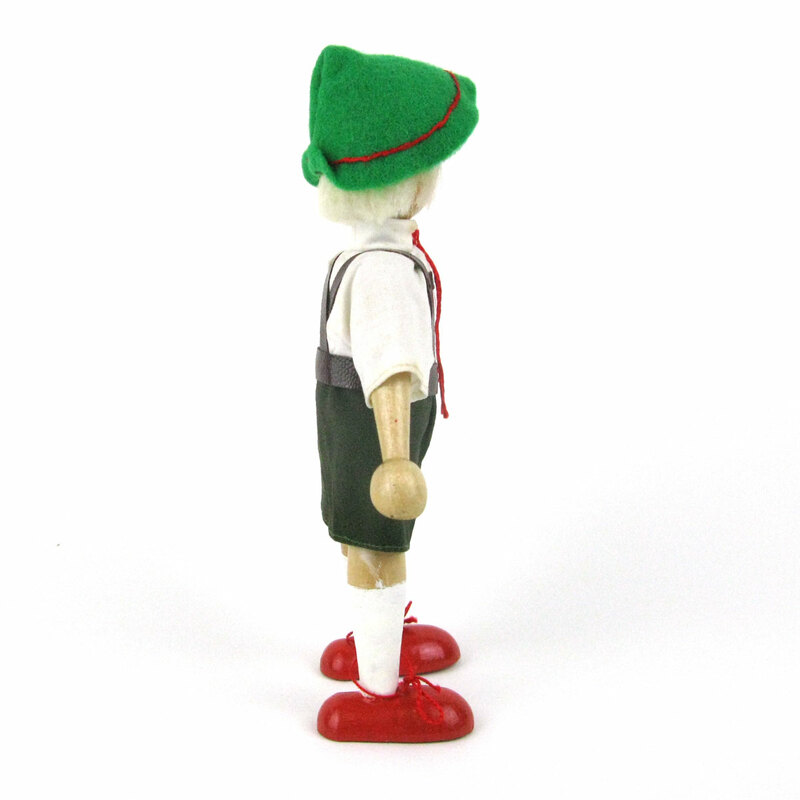 Is he a Bavarian boy? 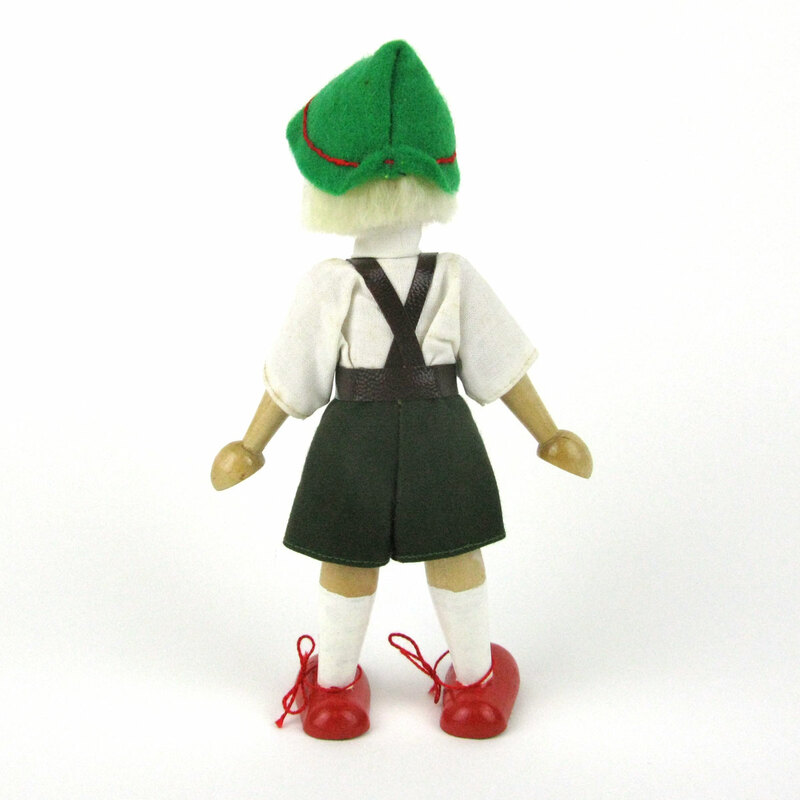 He also has red painted shoes with string ties. 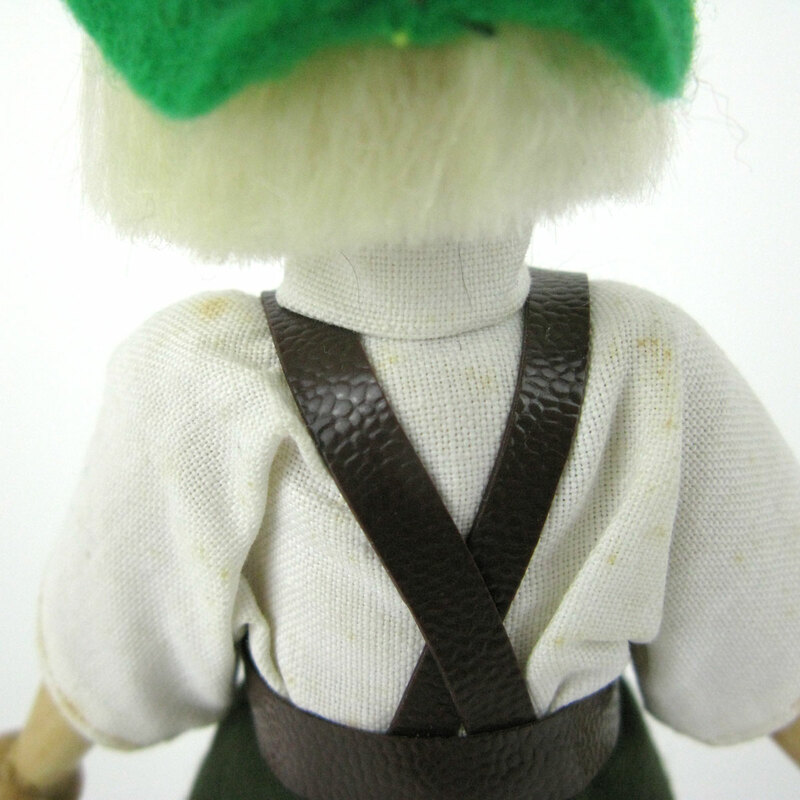 One leg has a small streak of paint on it from when the socks were painted and his white shirt has some small marks – nothing terrible but worth mentioning.